You might imagine that literacy is complicated, that it costs a lot of money, or that adults learning to read spend years in classes. After all, not all children in US schools become fluent readers by the end of first grade and it is in second grade that most become fluent readers. Even then, it is not sure that many could read the Bible and understand it. 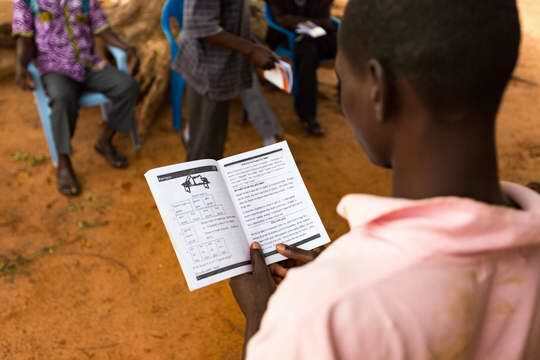 So you might think that it takes years for an adult in Africa to learn to read well enough to read the Bible fluently. But Bible translators run literacy classes that might surprise you in many ways. I have seen adults become fluent readers, including reading Bible passages, after spending 12 weeks in intensive literacy, although it usually takes longer. They have a very big advantage over US grade school students. Because of the work of missionary-linguists, their language sounds like it spells and spells like it sounds. They don’t have to deal with the inconsistent, confusing maze that is English spelling. Also, the literacy program is adapted to the local context. Classes are held in whatever facilities are available, even if that is under a tree. Whatever the church or community has, that’s what we’ll use. In addition, the literacy teachers are volunteers. Few have any formal training as teachers. Some just became literate themselves and they are often among the best teachers! They do get a week or two of training. This is possible because the primer is made so the every lesson has exactly the same steps. The teacher doesn’t need to know why or how the steps work. They just learn to follow the same process with each lesson. (This wouldn’t work with English because the spelling is so complicated.) So literacy classes can be run by almost anybody. A church that wants its members to learn to read the Bible does not need to find a trained teacher. Any literate member of the congregation can do it. 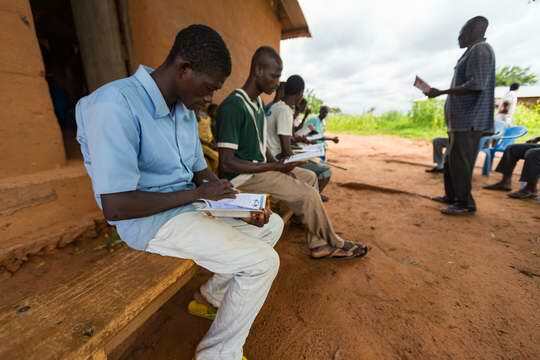 Even if no literate person wants to, the church can send a few of its illiterate members to a literacy class and then have the one of them who does the best become the teacher for others. When I was in Burkina Faso, one big literacy program run by another organization required a high school diploma to be a teacher. Not many were found and they wanted salaries, of course. Then the wanted proper classrooms, and they did not want to be assigned to literacy classes is remote areas. A literacy program that uses motivated members of the community does not encounter these issues. So, these simple literacy methods work because of motivation. The teachers, for example, are often very highly motivated. 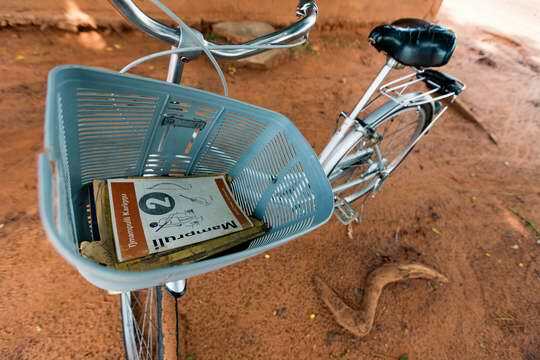 Some have been volunteer teachers for years, peddling their personal bicycle to a class several times a week, then the next year doing the same for a different class in a different location. They do this year after year. One even continued after being hit by a car while peddling his bike to class and spending some time in a hospital. They believe that they are changing lives and transforming their community, which they are. The learners are also motivated. Many want to read the Bible. Some want to use text messaging on their phone. Others want to write letters to distant relatives. They put up with the inadequacies and spend hours in class because they really want to read. If they fail, they enroll in the next class and try again. Chiefs want literacy classes in their areas so they give what they can and tell people to enroll. Nothing can replace motivation when it comes to literacy. But the biggest reason why these literacy classes work is that they are in a language people know – their own language, their heart language. Time after time, I have seen adult literacy programs in English or French (in countries where French is the official language) get low results. 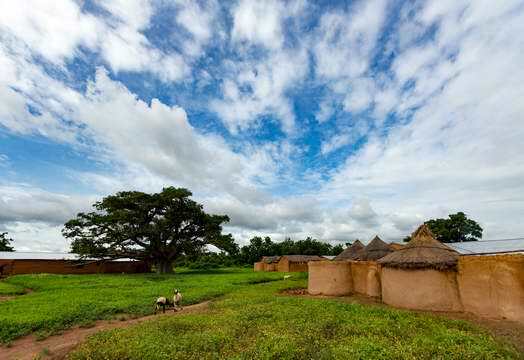 A few years ago, I met a young lady in northern Ghana who told me that her father would not let her go to school, but her uncle interceded with her father so that she could go to a literacy class in her language offered by the Ghanaian organization I work for. She did so well and her father was so impressed that he let her start school for the first time as a teenager. She advanced quickly. In the process she became a Christian and married a fine Christian man. When I spoke to her she was a few weeks from graduating from university. There are tens of thousands of similar cases in Ghana. Combine literacy in the heart language with the Bible also in the heart language, and amazing things happen. Simple literacy yields results that are anything but simple. This entry was posted in Heart language, Literacy, Personal experience and tagged adult literacy. Bookmark the permalink. This was great! Really enjoy all your posts, but this one I really enjoyed. The photos were wonderful. So blessed to receive these. Thank you so much. I’m so glad you enjoyed it.